A Hug with a Voice. Well, a couple days ago, I had a really hard day. Besides the rainy, gloomy weather, it was one of those days where you wish you could just tuck yourself into bed and close your eyes and mind to the motions of the day. 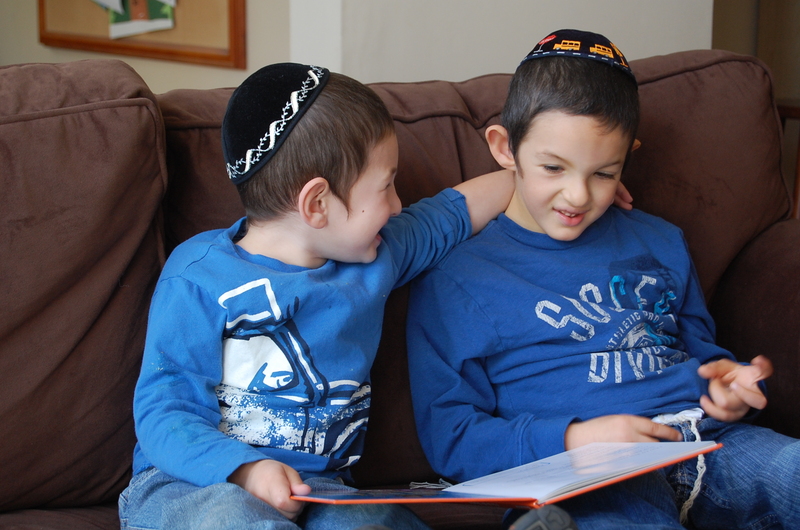 Chaim Boruch came home from school with his delightful disposition and what seemed like so much that he wished to tell me. No words. No noise. Just a calm happy smile. Where are his words? Where is his voice? Where are his thoughts? Would you believe that I felt what he wanted to say, in the tight hug he gave me? So simple. But it said so much more than advectives, pronouns and verbs. His long arms, with little chub, soft skin and so much feeling were wrapped around my neck. I could feel one of his little hands patting my back, while the other gripped my shirt with unsteady fingers. It said so much. It meant so much. It is all in the hug. I felt his day in his hug. I felt the sensation of raindrops on his face while waiting outside for his bus. I felt the silly feelings while singing funny songs at circle time. I felt the determination while he worked at his tasks. I felt his love as he returned home to me. I love your hugs Chaim Boruch. They say so much while we await your words. I will sit for endless hours with you on my lap. Your arms will wrap around me. My arms will wrap around you. In deep, long awaited coversation.